Israeli scientists today announced a major medical breakthrough. They created a tiny, live heart in a revolutionary new 3D printing process that combines human tissue taken from a patient. They unveiled a 3D print of a heart with human tissue and vessels on Monday, calling it a first and a “major medical breakthrough”. This significantly advances the possibility for successful transplants. The goal is to produce hearts suitable for transplant into humans as well as patches to regenerate defective hearts. The heart produced by researchers at Tel Aviv University (TAU) is about the size of a rabbit’s. This success marks the first time that anyone has printed an entire heart complete with cells, blood vessels, ventricles and chambers, Up to this point, the furthest any medical team reached was a 3D print of a heart without cells or blood vessels. TAU scientists took a biopsy of fatty tissue from patients that was used then used to develop the “ink” for the 3D print. When heart patients do receive a transplant, they often fall victim to organ rejection— a problem the researchers are working diligently to solve. In this case, using the patient’s own tissue eliminated the risk of rejection. The current heart is able to contract, but do not yet have the ability to pump. One goal is to transplant them into animal models, hopefully in about a year. The other issue are the current state of the 3D printers. They are limited by the size of their resolution and inability to print the small blood vessels. In addition, a technology that can expand cells to have enough tissue to create a human-sized heart is necessary. Eventually the science and technology will advance to the point where solution will be found. In the meantime, today’s announcement highlights a tremendous achievement that will control and hopefully eradicate heart disease. It is the first time that any medical group has engineered an artificial heart. A heart that contains cells, blood vessels, ventricles, and chambers. 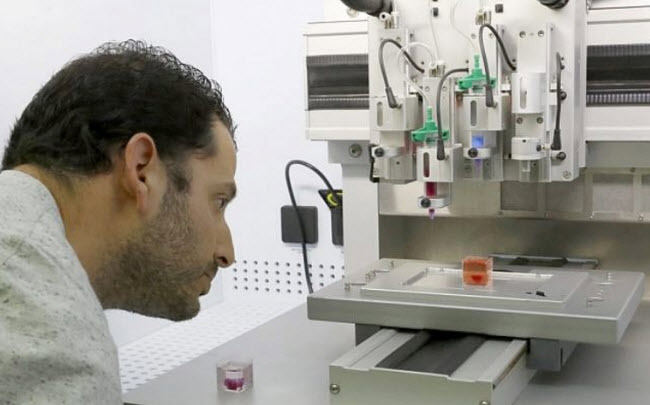 The Israel Foreign Ministry cited this accomplishment as an exceptional example of Israeli innovation and a great breakthrough for world medicine. ← Welcome to the New Ditmas Park Rehab Website!